The shaikh was asked: What is the difference between what is called “The week of shaikh Muhammad bin Abdel Wahhab” -Rahimahullah, and the celebration of the Prophetic Mawlid, as the second is condemned, while the first isn’t? The first is: the week of shaikh Muhammad bin Abdel Wahhab -Rahimahullah Ta’ala- was not done as a means to get closer to Allah -Azza wa Jal-, it is only meant for removing doubts that are in the hearts of some people towards this man, and to show what Allah has blessed the Muslims through this man. Source: Majmu’ Fatawa wa Rasael Shaikh Muhammad Saleh al-Uthaimeen, volume 16 – Prayer of the two Eids. The people of innovation say: You commemorate some individuals or like the week of shaikh Muhammad bin Abdel Wahhab – rahimahullah-, they say: what we do is similar to that, and the Messenger -alayhi assalam- is greater than Imam Muhammad? The Messenger of Allah is greater than all human beings, but the commemoration of the Messenger (Sallallahu alayhi wa sallam) is not specific to to this night. 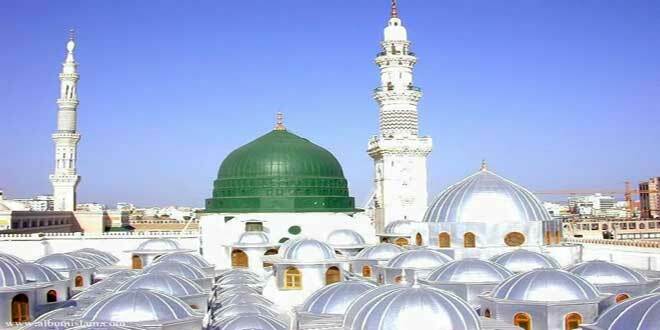 I have mentioned to you before, that every act of worship includes the commemoration of the Messenger -alayhi assalatu wasSalam-, this is from one point, and from another point: the week of Muhammad bin Abdul Wahhab, was it made into a eid that reoccurs? we say: it was not made an eid … and an eid is something that returns and reoccurs, you made this (i.e. mawlid) an eid that reoccurs every year, and this is munkar; that is why if someone, one day, stood up and spoke about the mission of the Messenger – alayhi asSalatu wasSalam- and his visiting, we would not call him an innovator, but to make it into an eid that reoccurs every year like a the religious eids such as Eid al Fitr and Eid Al-Adha, then this is munkar; and if we assume that the week of the Muhammad bin Abdul Wahhab was wrong, does that mean we compare a wrong with wrong? we don’t.